Having trouble finding a gift for the Holiday Season? 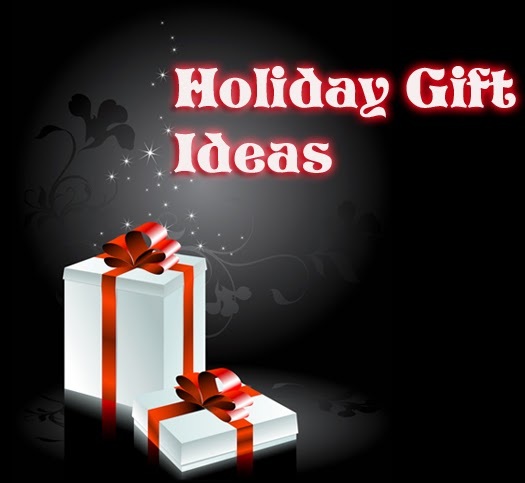 Here are some great gift ideas! 10. Every day Discounts.- We offer a volume discount on products that give you up to 20% off your order total. 9. 1909 Topping and Company Detroit Tigers Post Cards Near Complete Set- This set is a rare find. It is only missing one card. 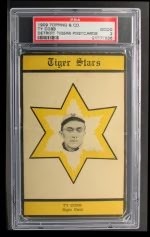 It is one of the highest PSA graded sets of its kind. 8. Sports Illustrated Covers for the "Man Cave"
7. One of Baseballs greatest hitters, "Stan the Man" Musial. 6. Non Sports Cards. We have a high selection of non-sports cards. Want to see what we have? Click here! 5. 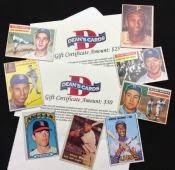 Dean's Cards Gift Certificate. Makes a great stocking stuffer! . 4. 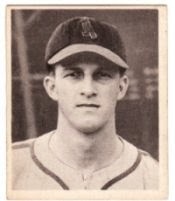 1950's and 60's Cardinals Team Sets. Not your favorite team? No worries! Head on over to our Team Page too view all the teams from your childhood! 3. 1969 Topps Baseball Master Set. Very hard to find. We have three different conditions in stock! 2. 1950's Complete Baseball Sets. We have a great selection of years and conditions. 1. 1960's Topps Baseball Near Complete Sets. They are great for anyone who likes to piece together a set.